Happy Birthday to.... YOU ! Happy Birthday to Susan! I hope that this next year will be an exciting one filled with health, happiness and lots more singing! 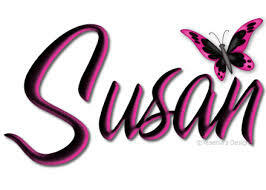 I hope and trust Susan is having a fun birthday. According to some FB pics posted by Annette, Susan and friends are having a birthday dinner at a hotel in Cairn. Pics showed Susan, Lorraine, Annette, and a couple of Whelans. (who are possibly related to Bridie & Joanne??) Some of the pictures show Susan, Annette, and Lorraine having tea at Susan's home----using what I'm assuming is the new tea set. Nice of them to show the fans it iss being used & appreciated!